Today is World Wetlands Day and it is a timely point to highlight Natural England’s role as the statutory body responsible for the protection and restoration of England’s wetland habitats from flushes and fens to our vast upland blanket bogs, which are internationally important. 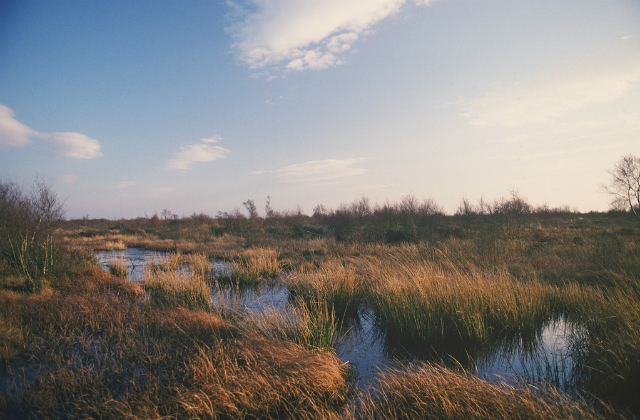 Peatlands are particularly important carbon stores: these sites are often thousands of years old, and over time peat has built up to the point where Natural England estimate that England’s peatlands store an estimated 580 million tonnes of carbon. However, this store of carbon is being steadily lost to the atmosphere with around two thirds of peatlands now considered degraded as a result of cutting, drainage, burning, over-grazing and atmospheric pollution. The emissions of greenhouse gases to the atmosphere from the UK’s peatlands have recently been estimated as being equivalent to 18.5 Million tonnes of CO2 per year. Restoring the condition of the peatlands is therefore an important contribution to reducing carbon emissions and Natural England is working to develop the evidence base on how to restore peatlands and putting this into practice on the ground. The organisation does this working in partnership with land managers and stakeholders to implement the Blanket Bog Restoration Strategy and by delivery of positive environmental management through funding schemes, such as Countryside Stewardship. By working with Defra and the EU’s LIFE+ programme Natural England has received significant additional funding in recent years to deliver restoration across over 4000 ha of rare lowland raised bog and associated habitats. For example, Bolton Fell Moss in Cumbria, is now recovering a cover of vegetation including the vital Sphagnum mosses on what was once a bare peat expanse following commercial cutting. By restoring our peatlands and other wetlands we are making an important contribution to reducing greenhouse gas emissions at the same time as providing benefits for biodiversity, water quality and regulation. We are also increasing the resilience of these places to climate change. There is no room for complacency however, there is much more work to do. For more information about the thousands of events going on internationally for World Wetlands Day visit the official website.